The 1980s were a colourful and creative time, full of experimentation and unique fashions. They also brought us some great, memorable and ultimately timeless video games, including SEGA’s Outrun. 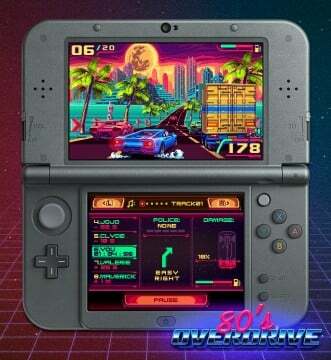 A classic racing game, it still remains a fan favourite and has become the inspiration for a newly-revealed, and beautiful-looking 3DS racer called 80’s Overdrive. Very little is known about 80’s Overdrive, because even the game’s website is barren outside of a handful of screenshots. However, there’s no denying that it looks absolutely stunning in said shots, as a result of a great amount of stylized pixel art. That, and a heaping of inspiration from games like Outrun, plus one of humanity’s most colourful time periods. 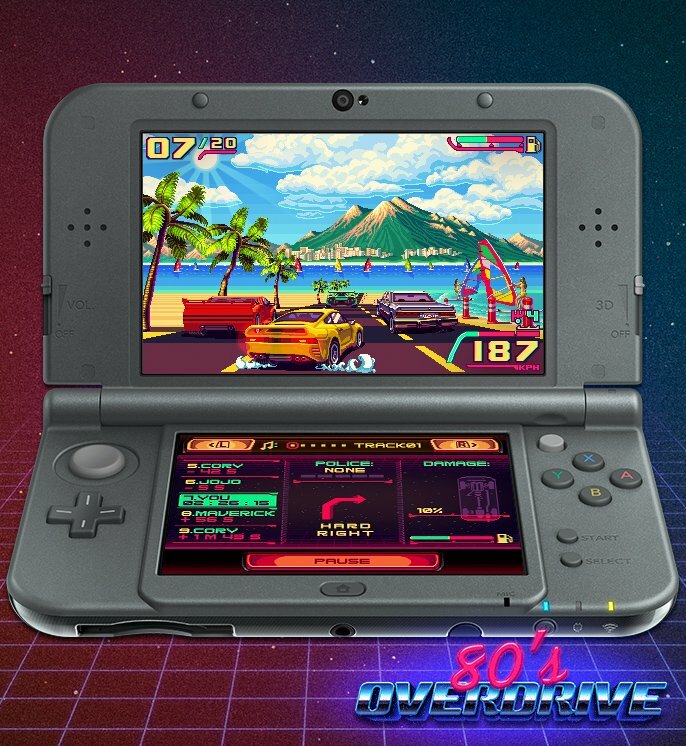 Check out 80’s Overdrive by going through its jaw-dropping screenshot gallery, or by visiting its official website.